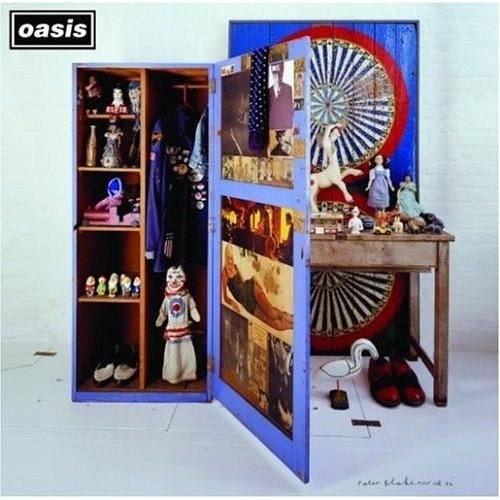 OASIS Stop The Clocks (2006 UK limited edition triple LP box set featuring a retrospective 'best of' collection which draws together eighteen tracks which have been painstakingly chosen by the band from twelve years of multi-platinum albums, number one singles and instantly familiar B-sides and album recordings. Each LP is in its own picture sleeve with a black die-cut inner, complete with a thirty page booklet with lyrics and photos, all housed in a deluxe picture slipcase with artwork by the legendary Peter Blake. This copy remains SEALED & UNPLAYED within the original shrinkwrap RKIDLP36). or visit our Oasis (UK) image gallery.